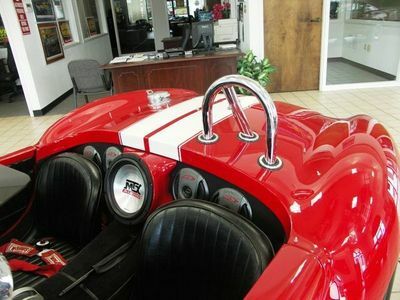 Truly a one of a kind show car! 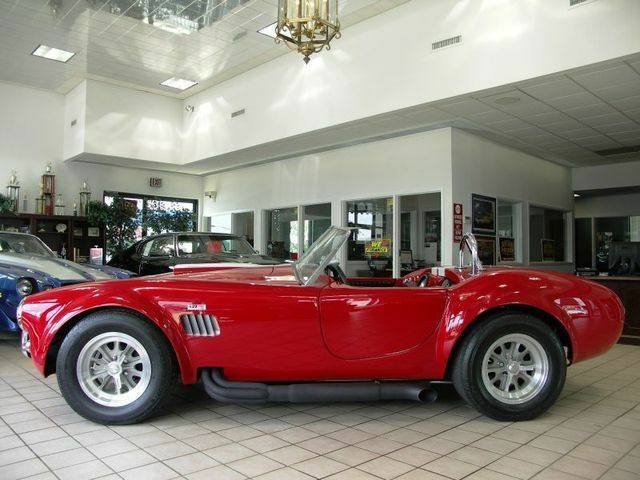 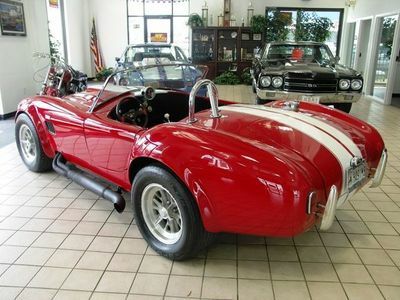 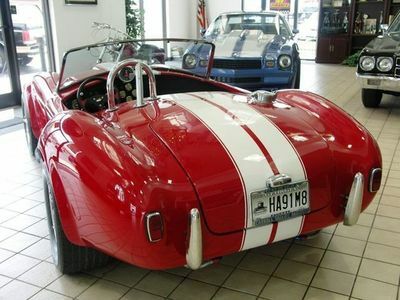 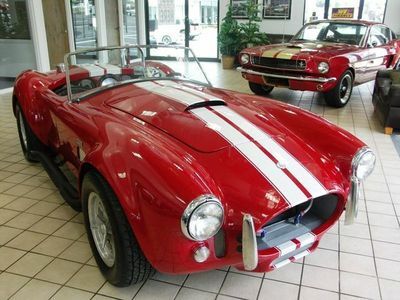 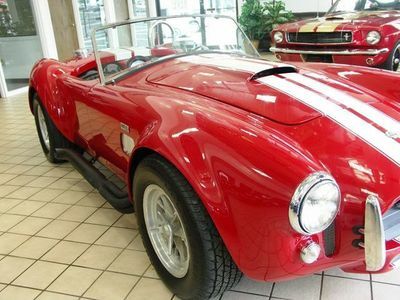 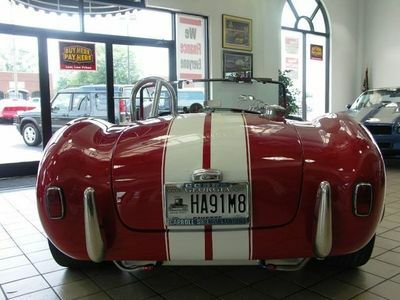 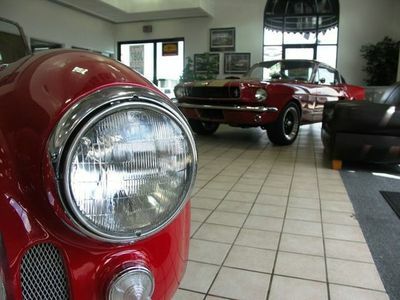 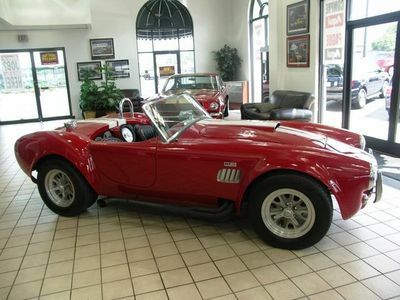 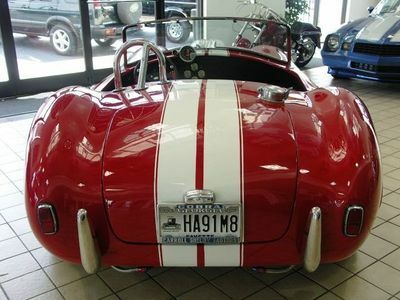 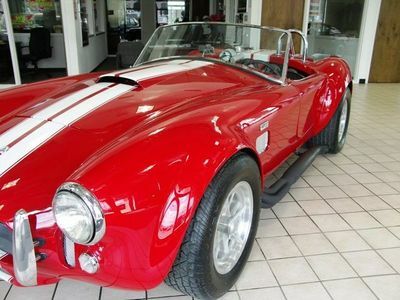 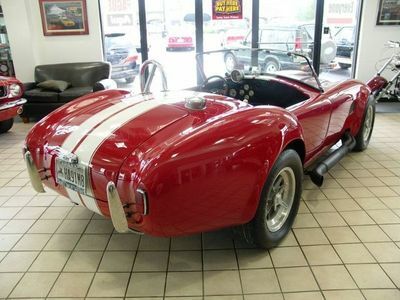 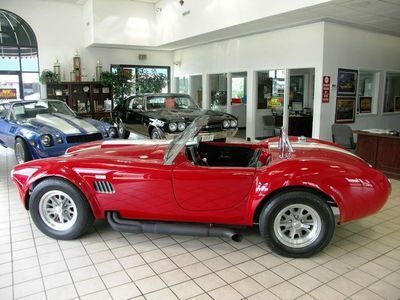 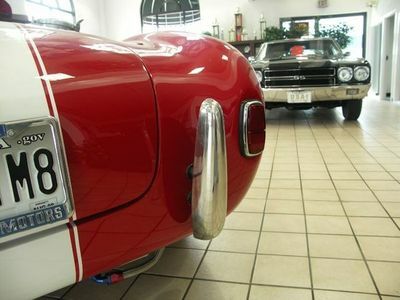 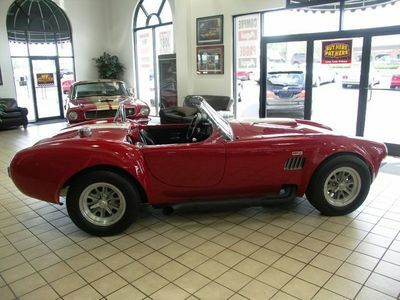 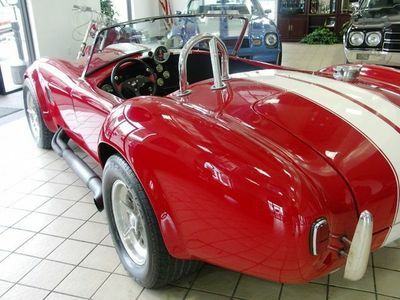 This Classic Motor Carriages, 1966 427 Ford AC Shelby Cobra Replica is complete and pristine in every manor. 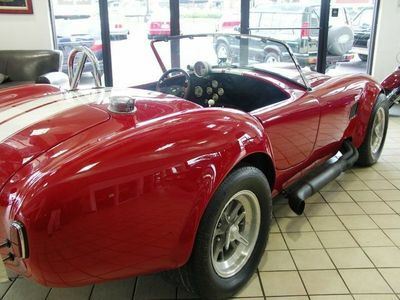 From the 427ci Full Roller motor down to the original Halibrand style alloy wheels, there is nothing that this beautiful beast needs. 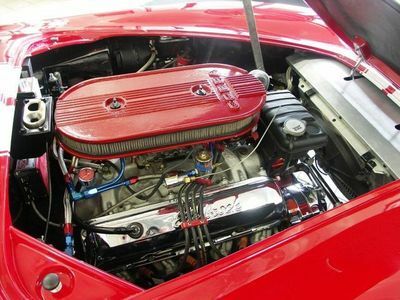 The motor was designed and hand built by the professional motor builder and holder of 3 NHRA world records "Ben Watkins" with such attention to detail, precision, and quality that it would be nearly impossible to recreate, obtaining a reliable 800HP in this lightweight yet rigid chassis. 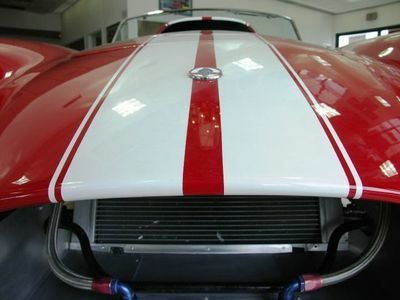 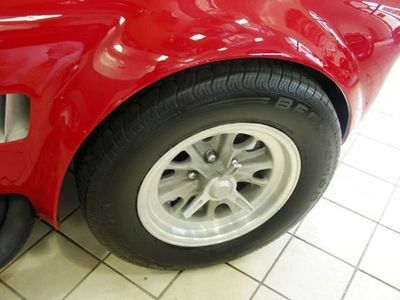 The exterior "Victory Red" paint is exceptional, accented with dual white stripes. 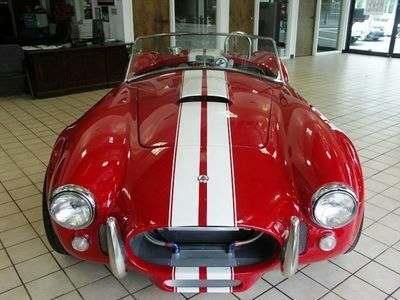 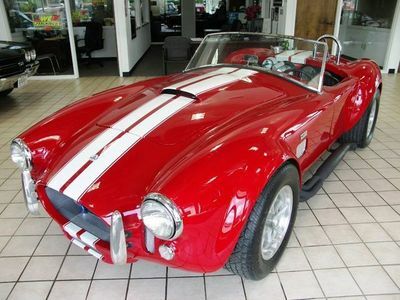 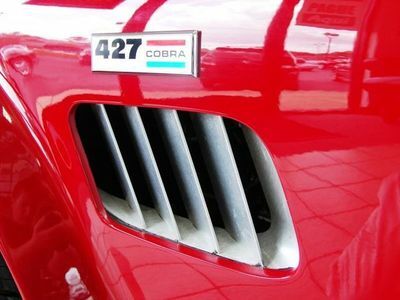 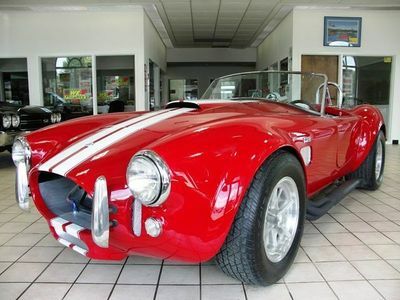 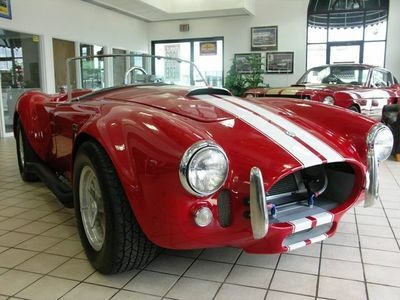 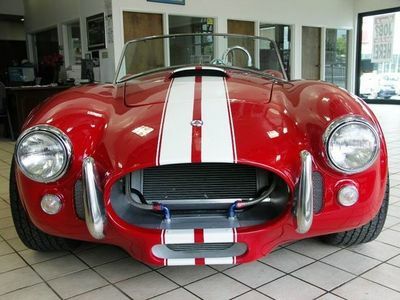 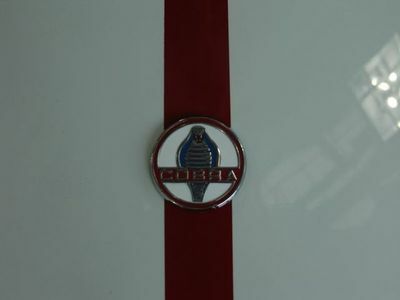 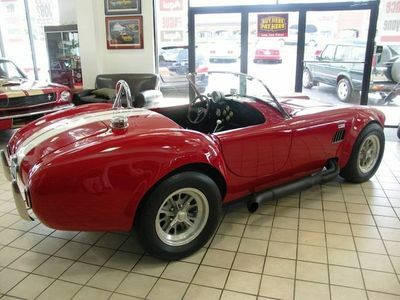 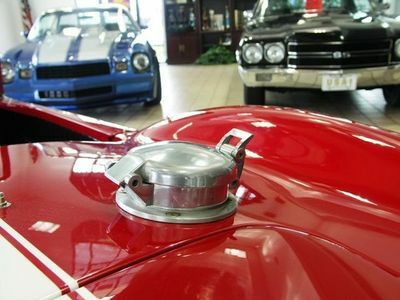 Chrome bumpers and roll-bar, polished aluminum quick fill gas cap, aluminum side louvers and 427 Cobra badges are reminiscent of 60's era class and power. 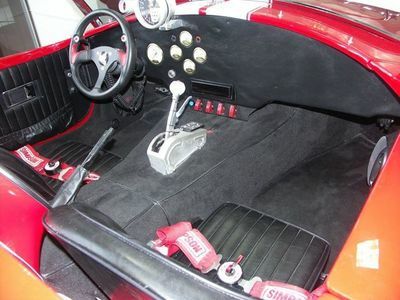 The interior is in pristine condition as well. 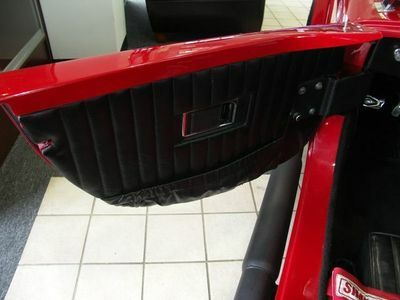 The supple leather seats, door panels, and water resistant carpeting are like new. 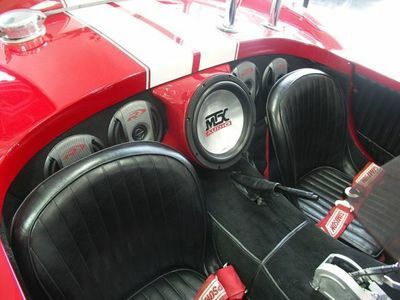 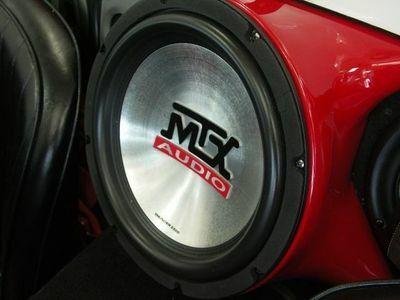 A pulse pounding 9 speaker 1000 watt stereo system with detachable face CD player and MTX sub woofer surrounds the cockpit and instantly lifts you to a euphonic state. 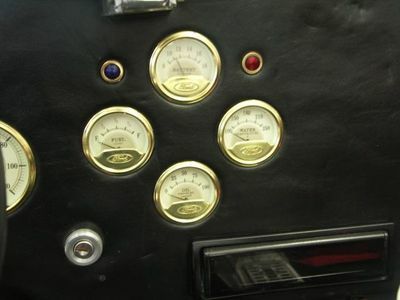 Brass, water temperature, oil pressure, battery, fuel, RPM, and speedometer gages accent the leather dash. 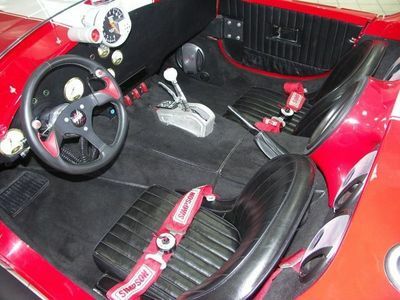 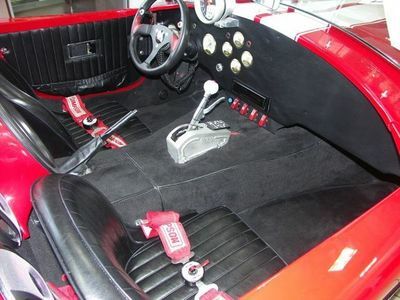 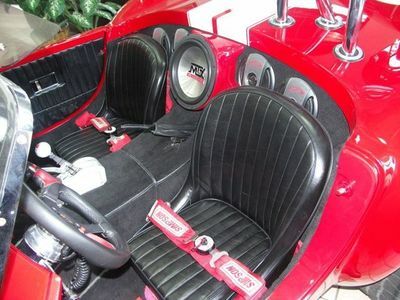 A B&M shifter, Simpson 4 point harnesses, Grant steering wheel with dual N.O.S. 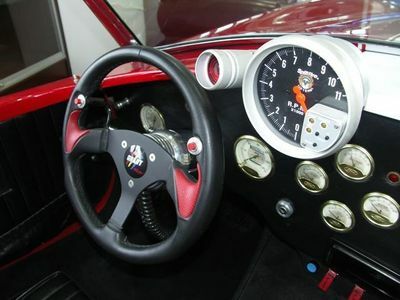 control, and monster Splitfire tachometer with shift-light complete the interior mood with speed in mind. 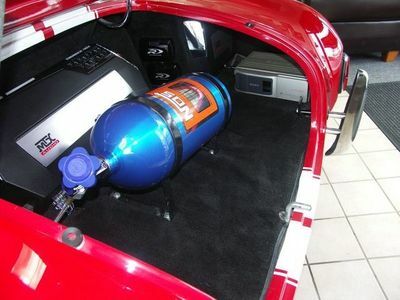 The trunk is well equipped with a 10 disc CD changer, stereo amplifiers, and a 10lb bottle of Nitrous for just the right occasion. 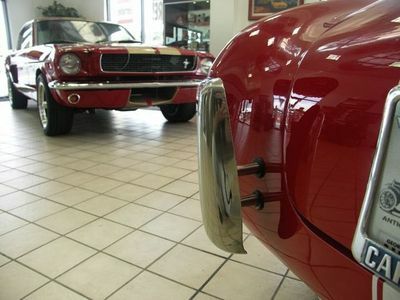 The ground shaking growl of the motor is unmistakable. 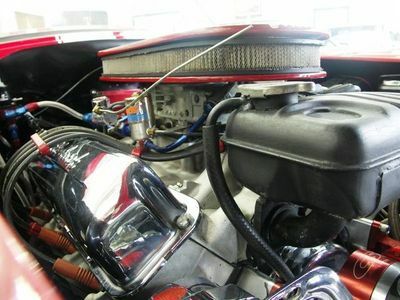 The 427ci engine was bored .30 over to 433ci. 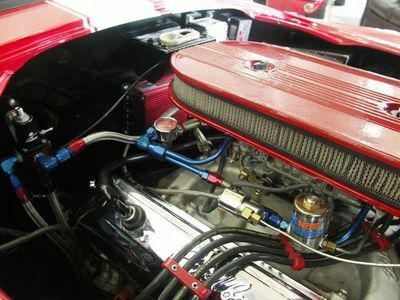 Edelbrock Performer aluminum heads were installed along with ARP head bolts, Comp Cams triple heavy duty valve springs, stainless steel valves, 5 angle valve job, O-ringed heads, bronze bushings and roller rockers. 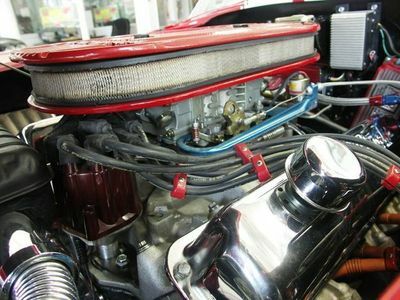 A SCE .60 mil copper head gaskets complete the heads. 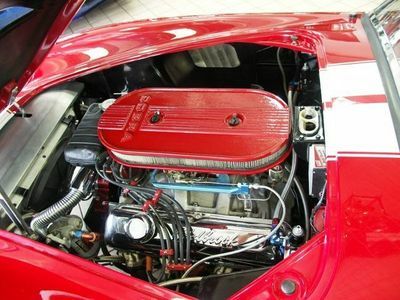 The engine block's deck was shaved and receiver grooved for the O-ringed heads. 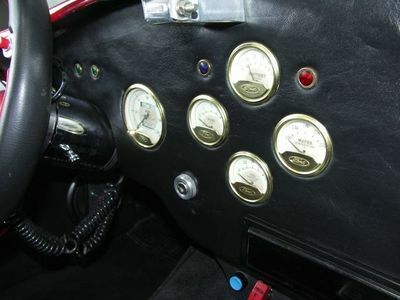 TRW 10.5:1 forged aluminum balanced and glass beaded pistons were then installed along with Comp Cams solid roller lifters, Childs and Albert rings, Ford Racing balanced connecting rods, ARP rod bolts, balanced and polished crankshaft, Comp Cams dual roller timing gears, ARP oil pump shaft, high volume oil pump, and a custom designed roller camshaft. 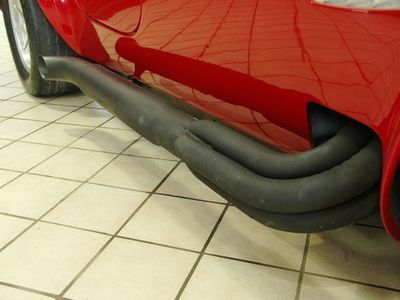 Ceramic coated original style headers and side pipes let the motor breath with an unruly growl. 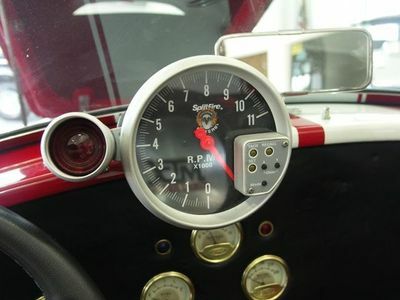 The MSD 6-AL ignition system provides the spark. 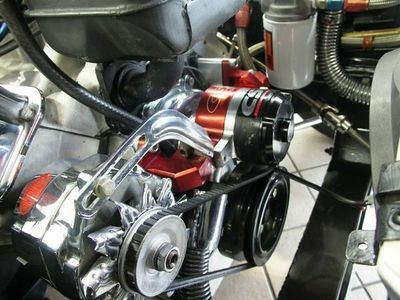 MSD pro billet distributor, 3 stage timing retard, MSD dual stage rev limiter, MSD super coil, Accel 8.8mm race wires, Powermaster chrome alternator, and a Vortex dry cell battery provides the juice. 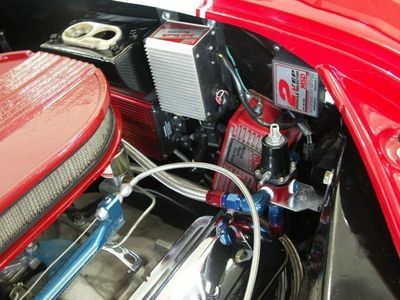 The fuel delivery system consists of a Holly Pro 750cfm Dual feed race modified carburator with high performance jets and power valves mounted to an Edelbrock Performer RPM dual plane intake. 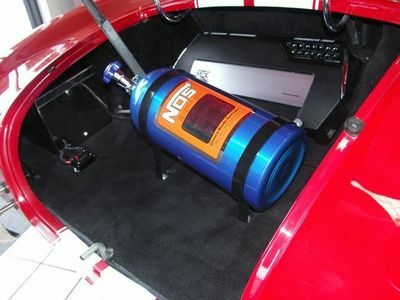 Holly dual electric recirculating fuel pumps, dual Fram canister fuel filters, Aeromotive dual bypass regulators, Earls stainless steel braided fuel lines, and an 18 gallon baffled aluminum fuel cell, no expense has been spared. 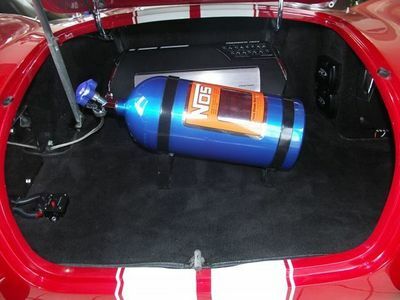 Nitrous Oxide Systems adjustable injection system, with a blue powder coated 10lb bottle and Earls steel braided nitrous and fuel lines with AN aircraft fittings. 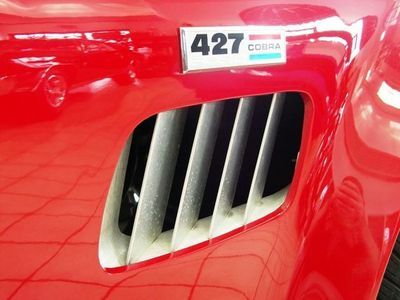 Good for 250 Horse Power at the touch of a button. 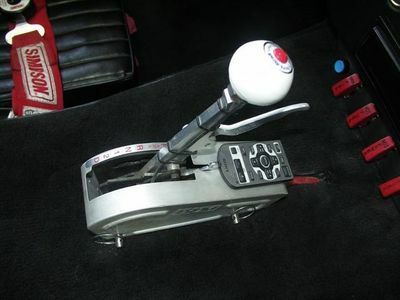 The transmission is a fully race built C6 automatic, ATI custom built 3800 stall converter with balloon plates for the nitrous, kevlar racing band, red racing clutches 6 pinion steel planitary gears, a reverse manual valve-body, B&M Pro-Stick shifter and a B&M transmission cooler. 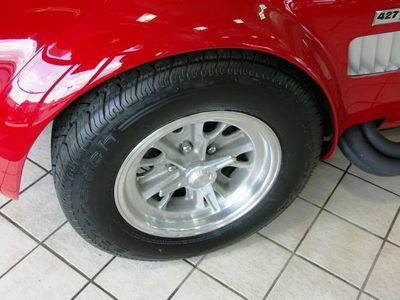 Earls stainless steel braided lines with AN aircraft fittings ensure the highest quality. 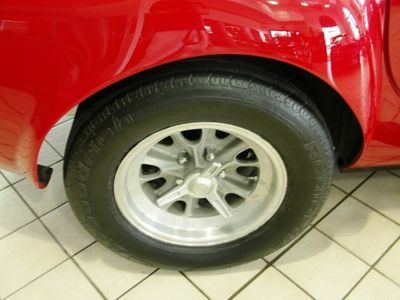 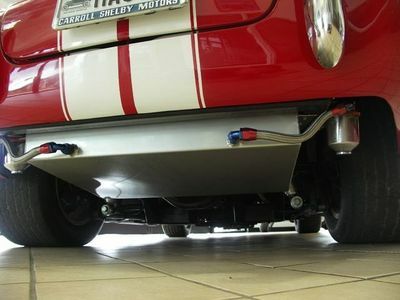 A custom balanced 3" aluminum drive shaft and Brute Force universal joints, Ford 9" rear-end with Auburn Posi-traction and Richmond 4.10:1 gearing produce quicker off the line starts. 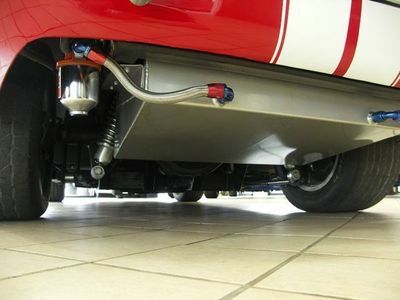 Nascar style tubular front control arms, Chrome coil-over Pro-Shocks on all four corners, fully adjustable chrome 4 link, and Competition Engineering's adjustable anti-roll bars keep the chassis clean and tight while maintaining maximum control and power to the ground. 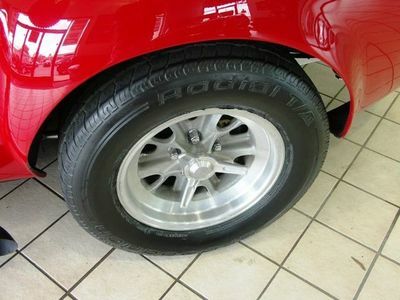 For stopping power, the 4 wheel disc brakes coupled with the light weight alloy wheels and BF Goodrich tires will quickly respond to your every whim. 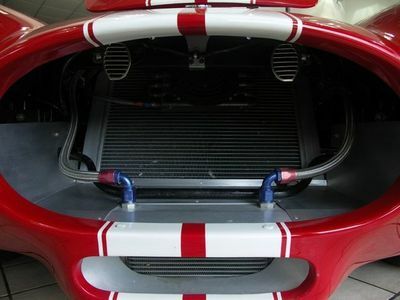 A 4 core Ron Davis aluminum racing radiator with custom aluminum shrouds, Cool-Flex chrome radiator hoses, CSI electric water pump, remote oil cooler and filter, and a Cobra 7 quart oil "t" pan were installed to keep this monster cool.